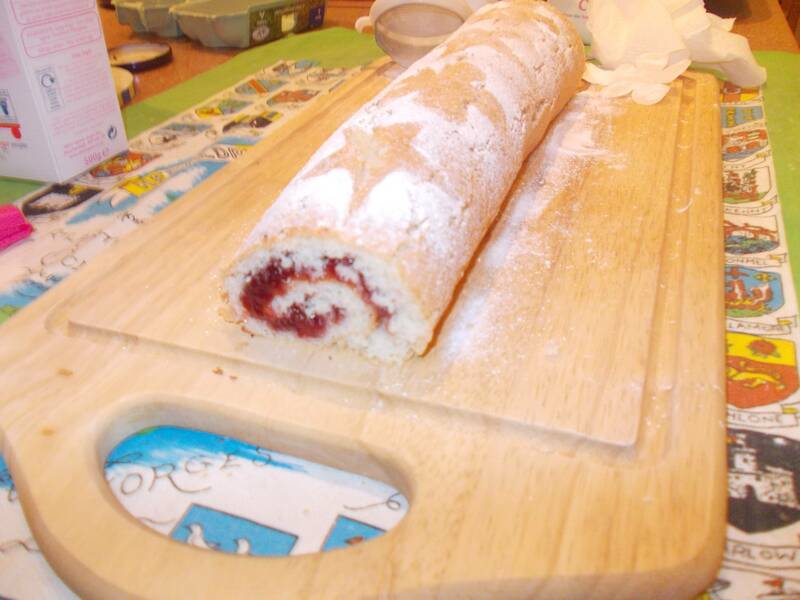 - Swiss Rolls look pretty impressive when you cut them into slices sideways and you get a swirly spiral pattern. 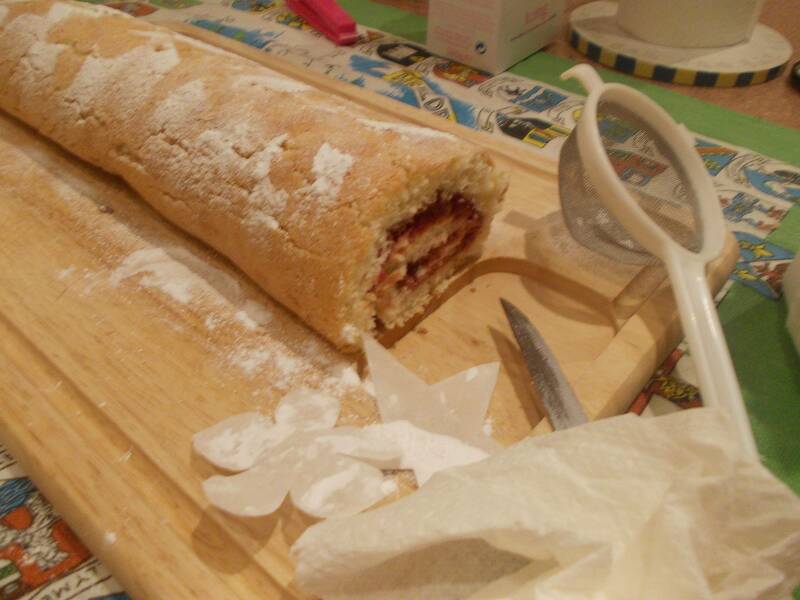 - You can put virtually anything you want in a Swiss Roll from chocolate cream to peanut butter - every year at Christmas we make a Swiss Roll with chocolate sponge cake, fresh cream in the middle and chocolate frosting to make it look like a log, but this time I've made a basic strawberry and raspberry jam (jelly) one. - Compared to most other desserts Swiss Rolls are relatively healthy (minus the cream of course!) since they contain no butter or margarine and only eggs, sugar and flour. 1. Preheat the oven to 200C/400F/Gas mark 6. 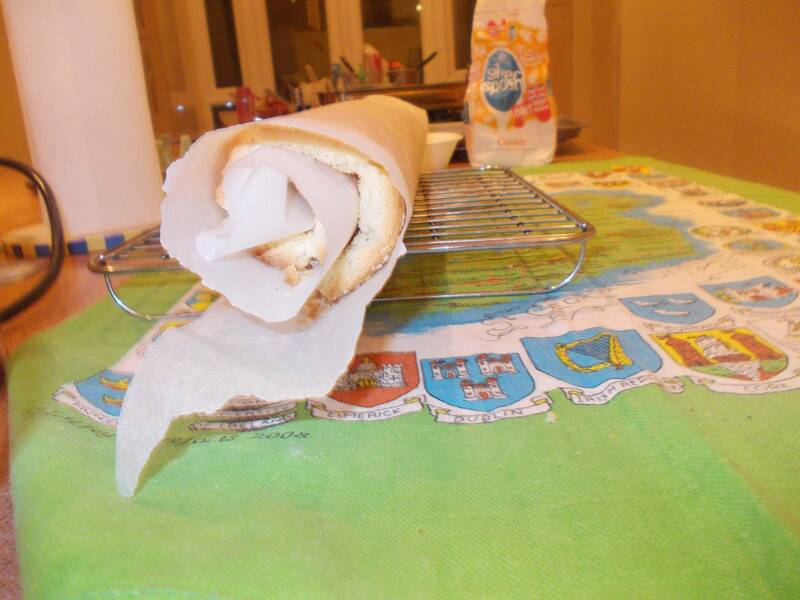 Grease and line a 23cm x 30cm/9in x 12in Swiss roll tin with greaseproof paper. 2. Whisk the eggs in a bowl until pale and fluffy - this may take around five minutes - then add 75g of the caster sugar a little at a time, while still beating the egg mixture. 3. Fold in the flour gently with a metal spoon making a figure-8 motion inside the bowl, and spoon the mixture into the tin. Spread flat with a spatula. Bake in the oven for 10-12 minutes, or until light and springy to the touch. 4. Spread out another piece of greaseproof paper larger than the sponge cake, and sprinkle the remaining caster sugar on this. 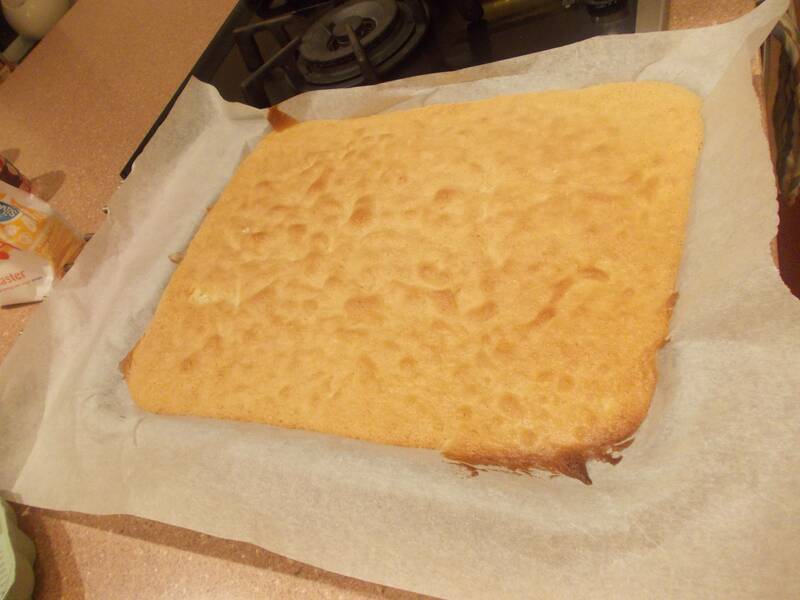 Remove the sponge from the oven and turn it out onto this piece of greaseproof paper. Roll up tightly for five minutes to let it hold shape. 5. 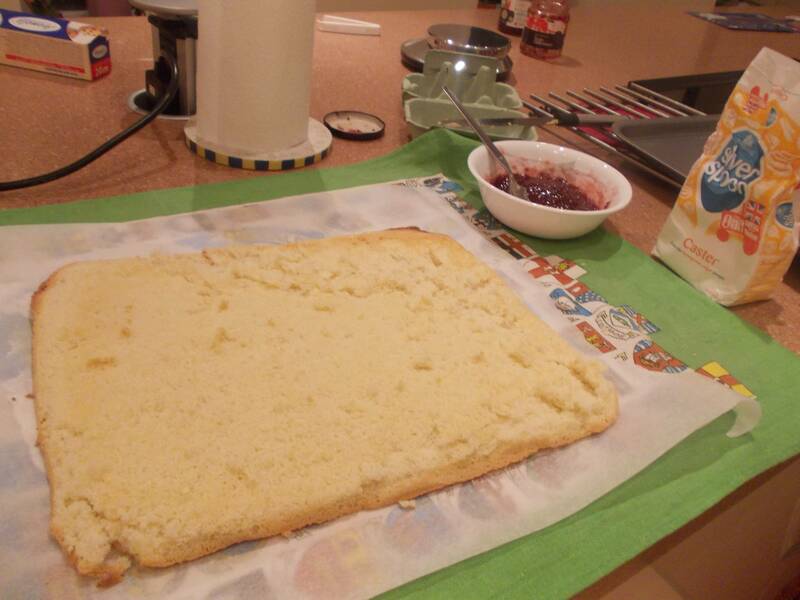 Unroll, then spread all the jam onto the sponge with a palette knife. 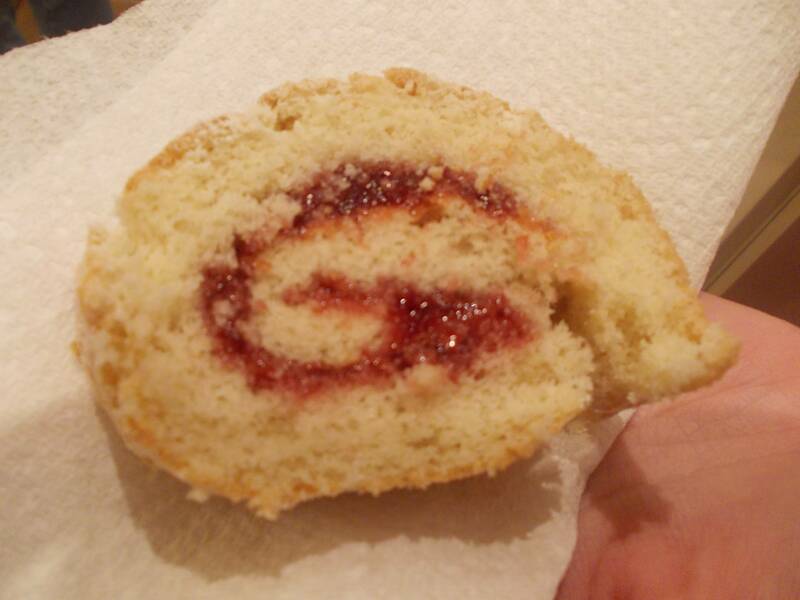 From the long side, carefully roll back up, sealing all the jam inside. 6. Ask an adult to cut of the ends for neatness, then dust with sifted icing sugar and serve! If you have time, you could cut shapes out of spare greaseproof paper, lay them on the rolled sponge and sift the icing sugar over those, creating a nice pattern. They all look yummy - you'll have a hard time deciding who the winner is Tweety! 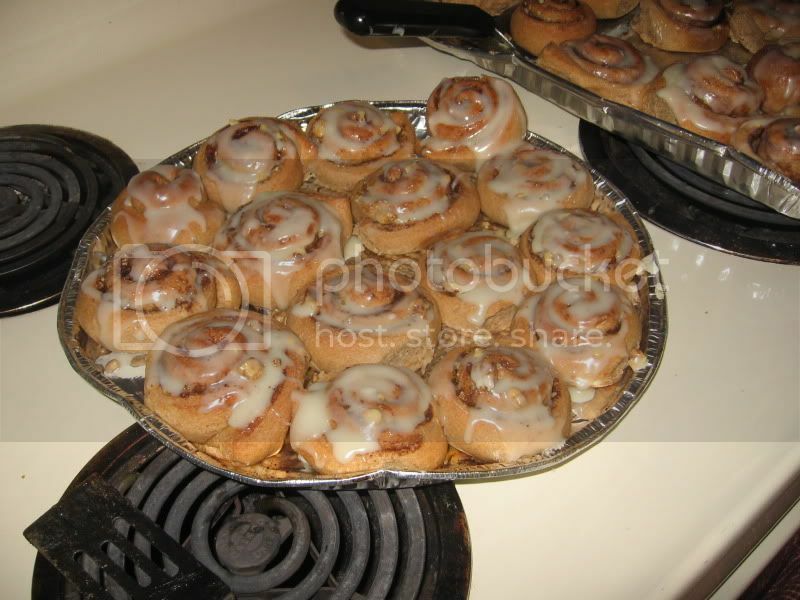 Out of all sweets i have to say that Cinnamon Buns are my favorite sweets! I just love how the cinnamon melts in your mouth, With that sweet, crispy, heavenly taste.I would always make these on the holidays, here is a guide on how to make them but you would have to need permission to do these alone! Unless your an adult. Ingredients On How To Make Cinnamon Buns! -Mix the ingredients on low for 5 minutes until the dough becomes shiny in appearance. If the dough looks too wet, add about 2 tablespoons more of flour to the bowl and mix again. -Turn off the mixer. Scrape the dough from the hook. -Knead the dough. Place your dough inside a bowl you have lightly floured and begin spreading it out with your palms, folding it back in on itself and spreading it out again. Add flour as needed. -Return the dough to the bowl. -Cover it and let it rise for about 1 hour or until it has doubled its size. -Make the filling. While the dough is rising, place the brown sugar, cinnamon, and butter into a small mixing bowl. Mix with a spoon until combined, and set it aside. -Preheat the oven to 190°C/ 375ºF. -Roll the dough. Once the dough has risen, remove the cover and punch the air out of the dough. -Sprinkle a flat, clean work surface with flour and place the dough on it. Sprinkle the dough with some flour. -Roll out the dough to a 1/2 cm (1/5 inch) thickness, making sure there is enough flour to prevent it from sticking to the table. -Spread the filling on the dough. -Carefully roll the dough into a log. -Cut the roll into slices of about 3 cm (1.18") in thickness. -Place the sliced rolls on the greased baking tray or sheet, leaving enough space for the rolls to rise. Cover again and allow them to rise for 15-20 minutes. -Add the egg wash. Take the egg wash and using the pastry brush, paint each roll individually. -Put the tray into the oven. Let the rolls bake for 12-15 minutes. -Let the rolls rest for 10 - 15 minutes to cool. Your cinnamon rolls are now ready to serve! They can be eaten cold but they taste especially good warm. Try them both ways!Your cinnamon rolls are now ready to serve! They can be eaten cold but they taste especially good warm. Here's a picture to show you how they will turn out! Last edited by ashley4leafclover; 01-27-2013 at 05:58 PM..
Will review entries and will name winners at the end of the week.